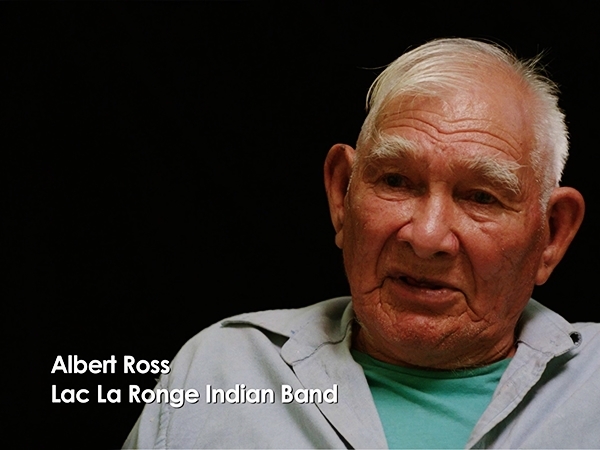 Albert Ross, of the Lac La Ronge Indian Band, talks about working together as a community. Within First Nations’ cultures, Elders occupy an honoured position. They are people gifted with great wisdom, the storytellers and advocates for the natural environment and preservers of Aboriginal cultures. Elders are committed to sharing their knowledge through teaching traditional ways and customs as well as providing guidance to community members. Cameco respects the special place that Elders have in local northern communities. We regularly consult with and employ Elders at our mine sites, to create mutual understanding, build trust and strengthen our community relationships. We recognize the importance of the historical knowledge many of today’s Elders have. Together with communities from across northern Saskatchewan, we sought a way to preserve Elders’ unique insights, along with the important cultural heritage held within Elders’ memories. In 2014, we captured many Elders’ stories on archival quality video and, then returned these videos back to the communities, as a gift for future generations. The Learning from our Elders video segments that appear in each section of this website, are but small samples of the wisdom shared during filming.